We love lenses! We’ve been carefully collecting some great sets of prime lenses to cover all the styles your DOPs will want. 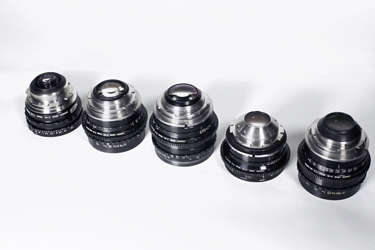 Classic look lenses such as Super Boltars, Lomo Anamorphics and Canon k35s. Crisp modern lenses such as Ziess CP.2s and Arri Ultra Primes. We also have a range of specialist single lenses, 35mm zoom lenses and sets of super 16mm such as Cooke S4s.